Tesla Has Officially Acquired SolarCity. So, What’s Next? Here's what a fully integrated clean-energy company can do. Tesla Motors Inc. officially announced this week that it has finally closed the acquisition of SolarCity Corp. This marks the beginning of Tesla Chief Executive, Elon Musk’s grand vision of synergizing solar technology with the automotive industry to create an integrated clean-energy company. This merger essentially means that Tesla can own the entire energy cycle–from generation, with solar installation and storage, to consumption—as it folds SolarCity’s entire business portfolio into its own. Limited details were provided regarding the brand transition, however they have shared that products made and sold post-merger will now fall under the “Tesla Energy” brand. All additional plans will be rolled out in the coming year. With Solar City now having access to Tesla’s strong brand recognition and vast retail and distribution network, sales for solar products are expected to experience a boost. 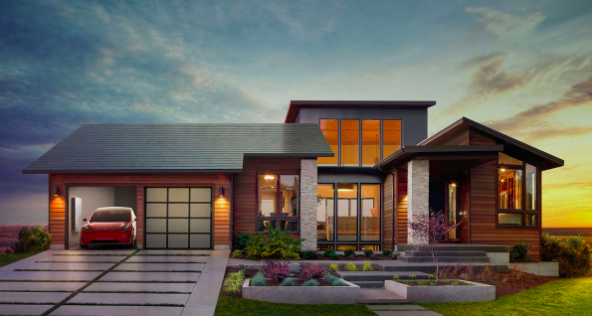 Tesla’s sales funnel can now effectively include a home charging option with each purchase of their vehicles through their solar installations, providing a seamless home solar and storage solution via their solar roof line and Powerwall battery products. Homes that opt to purchase solar charging along with their electric cars can save a lot of money by cutting down on additional utility expenses expected from charging. In addition, as an integrated business, the opportunity to make solar technology more accessible in terms of cost and installation is also imminent. With these products, our customers will have an entire sustainable energy ecosystem, comprised of products whose benefits go far beyond simply being sustainable. They will be products that like Model S and Model X, you want to show your friends and family because they are so much better than anything you ever had before.This is our vision for the future – one that is sustainable, less expensive, and just better. Additional projects in the pipeline for the newly merged company include utility- scale energy storage installations, a production boost from the Buffalo factory, and a much-anticipated collaboration with Panasonic.